How about buying Indian clothes with just a click of mouse? Yes! Online shopping has become very popular in this day and age. With Internet services growing at an unimaginable pace in India, online shopping provides the convenience of getting your desired stuff at your doorstep. Online shopping gives you benefits like huge variety and great discounts and that too at comfort of your home. From your grocery requirements to clothing, online shopping gives you super easy, convenient, fast and exciting shopping experience. You don’t need to survey the markets and face traffic issues, all you need is your laptop and Internet and of course your comfy couch to order the things you want. But the question here arises, which portals are safe and reliable to buy your things from. Worry not; we have jotted the names of few dependable portals for online shopping for Indian clothes. Let’s have a look. Amazon is the world leader in online shopping. This dependable portal provides anything and everything from your daily needs to big gadgets, name it you get it. Also, the site gives you an opportunity to buy good Indian clothes. Gorgeous sarees, suits and kurtis are very much available on Amazon.in. Amazon recently started its operations in India and in a short span of time has gained the trust of Indian buyers. Good quality, great prices and free shipping (on some items) are some of the highlights of this reliable site. This e-commerce website is a great example of success. Started in year 2007 with mere Rs 4 lakhs is now a company worth crores. Calling it a hub of products won’t be an exaggeration. 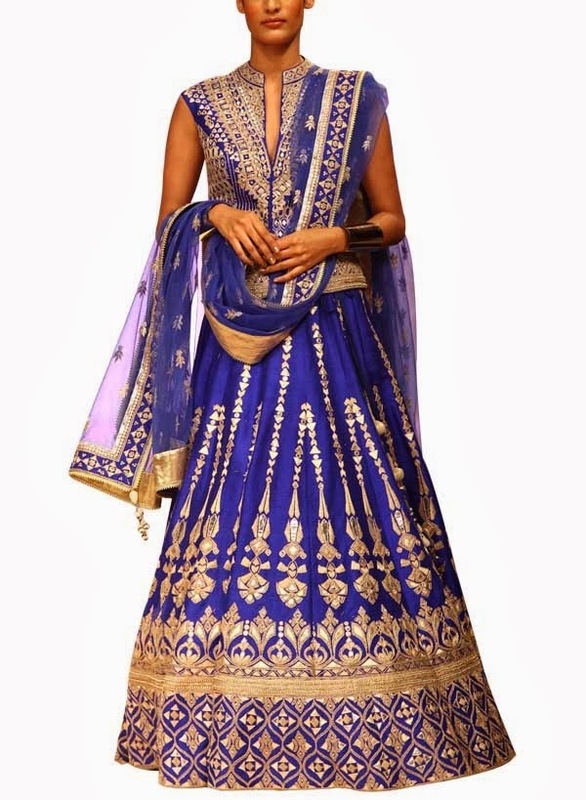 Not just books and electronics, Flipkart is a one-stop-shop for buying Indian clothes. A huge number of vendors sell good quality branded Indian clothes on Flipkart. It provides variety and availability of sizes of ready-to-wear clothes. Also, this online shopping portal offers great deals and coupons for an interesting shopping experience. Pocket-friendly prices and exclusive product launches are its other highlights. 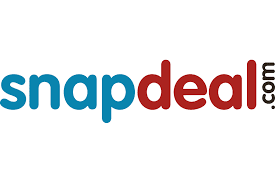 Next on our list of reliable online shopping portals for Indian clothing is Snapdeal. Snapdeal has become a household name due its mass acceptability. This trustworthy and one of its kind website offers great products including Indian clothing for both men and women. Not just this, Snapdeal has also ventured into premium designer-wear segment named ‘The Designer Studio’ and has launched the collections of ace designers like Manish Malhotra, Ashish N Soni, Malini Ramani and many more. Along with it, people love to buy lifestyle deals on restaurants, spas, salons and even on travel. Snapdeal not only offers competitive prices but also free shipping option. 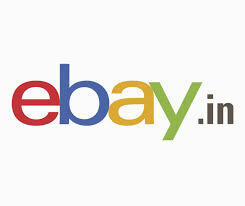 Ebay.in is the Indian version of Ebay.com catering to the needs of Indian consumers. This online shopping portal is one of the most trusted website to buy both used as well new stuff. Ebay has helped many small businesses and vendors to kick-start their venture by providing them the trading platform. Not just this, Ebay also provides international shipping. All in all, this online shopping portal for Indian clothes is a complete package as it provides safety, security, variety and convenience. 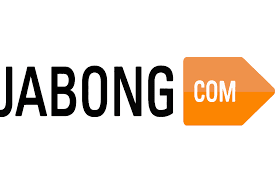 Jabong.com is exclusively an Indian fashion and lifestyle e-commerce portal. All your fashion needs from clothing to footwear to accessories are met here. Not just this, Jabong offers deals and discounts on home décor, beauty products and other lifestyle products. The company’s headquarter is situated in Gurgaon. Jabong offers all lifestyle related products under one roof. Headquartered in Bangalore, Myntra is another leading Indian e-commerce portal that offers amazing Indian clothing and other lifestyle items at discounted prices. 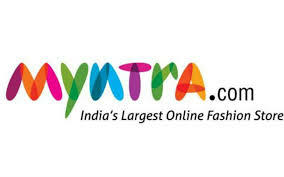 Myntra offers both formal and casual Indian wear catering to the fashion needs of Indian consumers. Myntra started its operations in the year 2007, with the purpose to offer a vast variety and personalised gift items to the buyers. Later, it shifted its effort to online retailing of branded apparel. 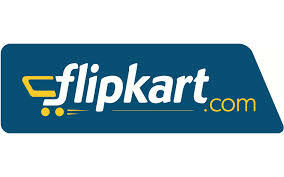 Now Myntra has merged with Flipkart to compete with the online giant Amazon.in. 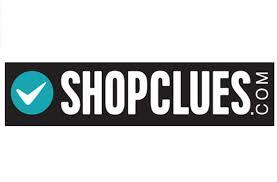 Shopclues.com came into existence in the year 2011 and happened to be the 35th entrant in the Indian e-commerce business at that point of time. It is the subsidiary of Clues Network Inc which is a US Corporation. Shopclues deals in lifestyle products and clothing. What made this portal popular was its ‘Jaw Dropping Deal’ launched in 2012 which offered unbelievable heavy discounts on the listed items. It was rewarded as the best deal of 2012. Based in London and Mumbai, Strand of Silk is a leading online retailer of fashion garments. This fashion forward company gives an ample opportunity to shop Indian designer wear by both established as well as upcoming designers. It deals in premium quality clothing and caters to the high-end fashion needs of both Indian and International buyers. All the products are hand-picked by their talented team of fashion connoisseurs. 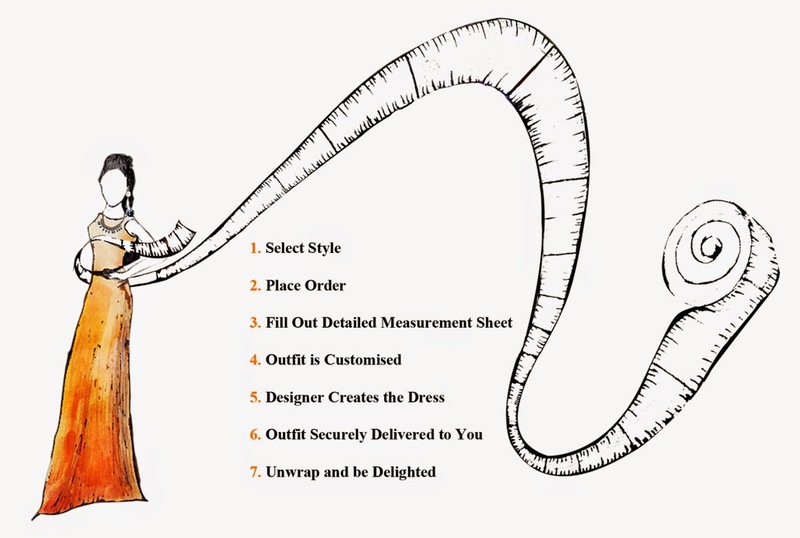 Also they offer an incredible service of customising your desired garment to suit your needs and occasion. Look no further than Strand of Silk to meet your need of a traditional yet contemporary designer outfit. Above mentioned are few reliable and trustworthy e-commerce portals that provides opportunity to shop for Indian clothing online without the hassle and worry of being getting cheated. So, get set to shop your heart out. Happy and hearty shopping folks! In 2007 the launch of Flipkart, which was a huge success, showed that Indians are open to buying things online. The Bansals of Flipkart had paved the path for the booming Indian e-commerce market. 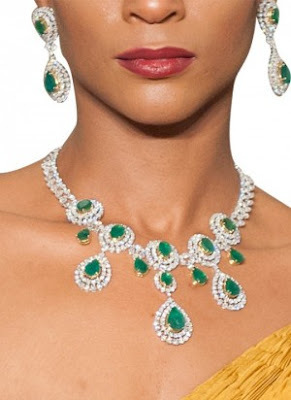 Among the needs of the Indian consumer, jewellery has an around $55 billion worth market. However, do Indians buy jewellery online? Here’s a look at Indian jewellery online. See, touch and feel: Jewellery is an item with very high average selling price. So consumers are vary about buying jewellery without getting a good look at the diamonds, the quality of craftsmanship and assurance about gold used. Tradition: Most families have their trusted jeweller over generations, so for occasions like weddings, etc ., they would like to have a personal interaction with their trusted jeweller and get a unique custom experience. Customer Service: India lacks high standards of customer service (especially it stands true for some small businesses) and also due to the lack of high security standards online, customers are sometimes not willing to pay huge amounts online. However things are changing as far as security and customer service is concerned so in future maybe the trust factor online would be better. Upward trend: Due to the burgeoning e-commerce in India people are becoming open to buying big ticket items online, especially if it comes from a trusted source. So when you hear Ratan Tata has invested in Bangalore based Blue stone and US hedge fund Tiger Global has put its money into Caratlane, it gives you an assurance about these online portals. Delivery system: With the success of deliveries from Flipkart and Amazon, people have started trusting sources which have a good delivery system set up. Many jewellers are also tying up with these online giants to ensure delivery success. Lower investment: Online portals reduce the need of having a plush high end store in a good locale with optimum display. They can transfer these savings to have a higher number of varied collections of jewellery. Due to the low set –up cost we have seen an upward trend in lot of jewellery start-ups online. Technology: Using advanced computer technology today we have better display of jewellery online, showing the minutest detail, so the customers can order exactly what they want. Better customer service: Caratlane was the first to come up with a try at home option for jewellery. The Indian jewellery online set-ups do not have to deal with high volume sales instead they enjoy higher returns on each item sold. So they can focus more into making each sale an amazing service experience, which will lead to consumers willing to spend more online. The fashion imitation Indian jewellery online market has huge potential and people are very open to buying such jewellery online as they see minimal risk in terms of cost. Experts have estimated the Indian jewellery online market to grow at a rate of 30%. The big Indian jewellery online players like Caratlane, Bluestone and Gitanjali are being very specific in their target audience. They are focusing on the working girl, who is open to buy jewellery online and prefers light accessories, she can carry to work. So most of the sales happen in the ‘affordable jewellery’ segment. The high value purchases for weddings still happen offline but with the younger generation being more savvy and open to the virtual bling, I do not think that day is far when buying an expensive Indian jewellery online is as simple as buying a T-shirt online. In the world of weddings, when brides deliberate bridesmaid dresses for their big day, a common thing is for them to automatically think of well known and big name designers. Although this is a valid option, it is ultimately an expensive one. Picking a unified selection of dresses for a number of women can be a daunting task, every woman is going to be a different shape, size and personality. This is where customisation comes in, aswell as customised the sizes of each bridesmaid dress to suit the individual, you can also keep and certain theme running through the dresses. By choosing lesser known brands when selecting bridesmaid dresses it can not only mean you save precious pennies, but also be exposed to more unique styles and designs than those available on the market. For example, selecting styles from Indian designers, like those offered by Strand of Silk, ensures that dresses can be customised to suit the needs and wants of both the bride and the bridesmaids, tailored to a unified look, yet do not cost a fortune. Aswell as bridesmaid dresses, when it comes to the bride, nothing can bring out their best more than customised wedding dresses that not only fits flawlessly, but enhance their assets and replicate their own unique personality. This style of customised wedding dress from a lesser known brand can still combine the desired high-end luxury of a designer gown but with the practicality a of ready-to-wear bridal dress that is tailored to the individual perfectly. Strand of Silk's made-to-measure line runs through the heritage based pieces designed by their selection of contemporary designers. Discover Indian fashion! There is no denying that designer Anita Dongre is one of the most popular and successful Indian fashion designers. Indeed she has been at the forefront of the Indian fashion scene for over 20 years, but how did she succeed and get so famous? First, as she always loved fashion and style, she studied designing from SNDT, Juhu - a leading Indian fashion school in which she graduated in 1983 - and Bcom from Narsee Monjee. Then to realise her passion for design, she and her sister Meena Sehra, acquired two sewing machines in order to create and supply clothes to a boutique called Saks which was frequented by Bollywood stars. She made a line made from linen for the boutique which agreed to sell her collections. It was a success and Saks wanted more of her creations and this is what launched her career in the world of fashion. 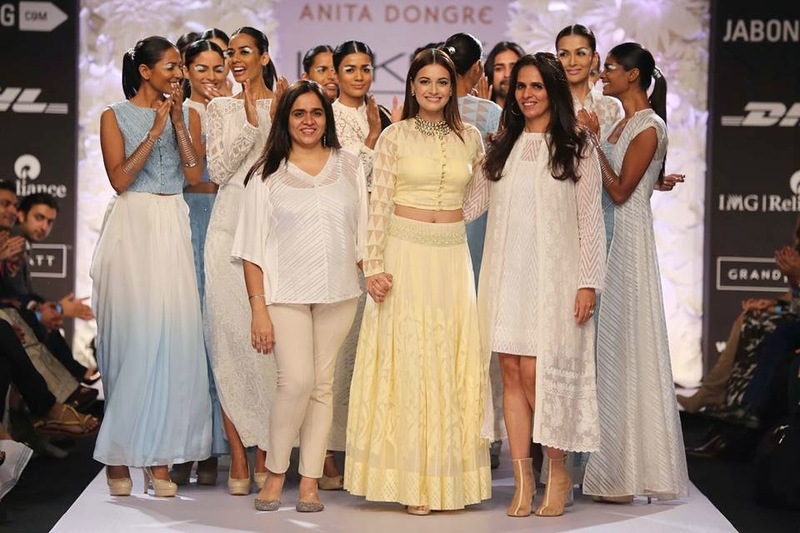 And then for few years Anita Dongre not only supplied to famous boutiques in major Indian cities, but also in other cities all around the world. After these experiences she finally decided to create her own label with fresh ideas. The boutiques thought that it will not work, but she travelled several times and had seen that trends were changing. She wanted to design something that urban women can wear and the only way to do it were to retail by herself and so found her own business. 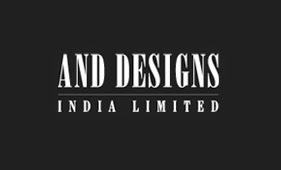 Supported by her sister and also her brother who left his job to join them, thus the company And Designs India Ltd. (ADIL) was created in 1998 and the ascent to success started here. In mid-1999, the label “AND”, which offers a collection of western wear, was launched as an answer to the growing needs of the Indian woman. Today the label remains and has evolved to keep pace with its clients’ changing lifestyles. At the core of the fashion industry she was able to realise one of her dreams and launch her couture design label “ANITA DONGRE”. It was launched in 2000 at IGEDO, an international forum. Anita Dongre is the only Indian Designer chosen to showcase her collection at the Finale of the IGEDO Spring Summer Fashion Show. The signature label includes different sub-label that cover varied needs in the market: TIMELESS, IINTERPRET, GRASSROOT, MENSWEAR and recently launched PINKCITY which is a line of jewelry. 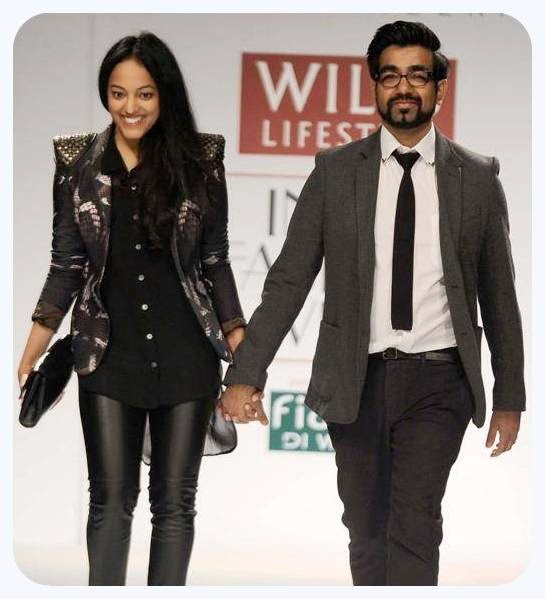 The last of ADIL’s high fashion brands launched in 2007 it is called “GLOBAL DESI”. It is inspired by Indian heritage of colours, fabrics, prints etc. Anita Dongre's inimitable creations have reached award shows, global red carpets, international catwalks and the pages of many other events. She acquired the loyalty of everyday kind of people and also several celebrities such as Shraddha Kapoor, Anuradha Mahindra, Juhi Chawla, Neha Dhupia, Urmila Matondkar and more. And now more than a designer, she has been ranked among one of the 50 most powerful women in business. With her dreams in mind she worked with passion and perseverance and has built what we can call an empire. If you want to see more about Anita Dongre, click here! 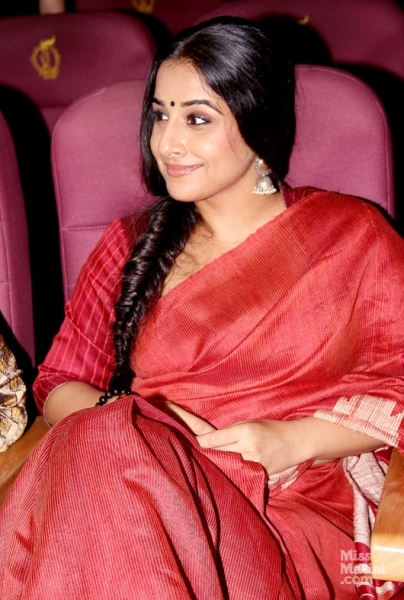 Vidya Balan showcased a beautiful pair of red and golden indian earrings last night, at Zakir Hussain’s Concert. We love her ability to combine traditional indian clothes with gorgeous accessories in such a delicate style! Don’t you? If you want to get a pair of similar golden dangling earrings have a look at this creation by Roopa Vohra on Strand of Silk! A new collection of womenswear by SVA has been recently launched on Strand of Silk. 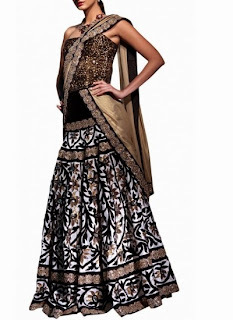 There are a variety of Indian designer dresses that you can take your pick from! Which is your favourite? I only found these on strand of silk, anyone know other sites that I can buy these from ? Aishwarya Rai looked fabulous at the amfAR Gala of the 67th Annual Cannes Film Festival. She was wearing a champagne coloured, crystal shimmering long evening dress. The actress was seen wearing a lilac coloured long evening dress by International designer Elie Saab at Cannes International Film Festival, 2014. The recent 'Queens' actress was seen wearing a blush pink long evening dress by Herve Leger. Esha Gupta was seen at Grazia Young Fashion Awards 2014 in a white, side slit long dress by Nikhil Thampi. 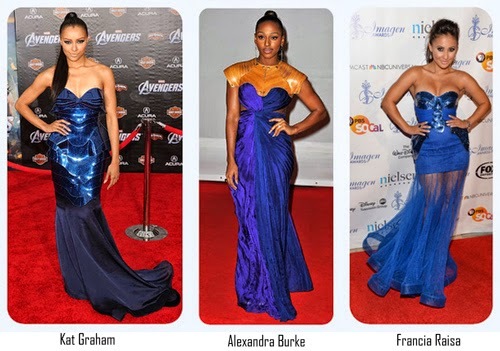 For more information and the rest of the 10 best evening dresses go to Strand of Silk. Karishma Tanna recently attended a wedding wearing these beautiful saree. 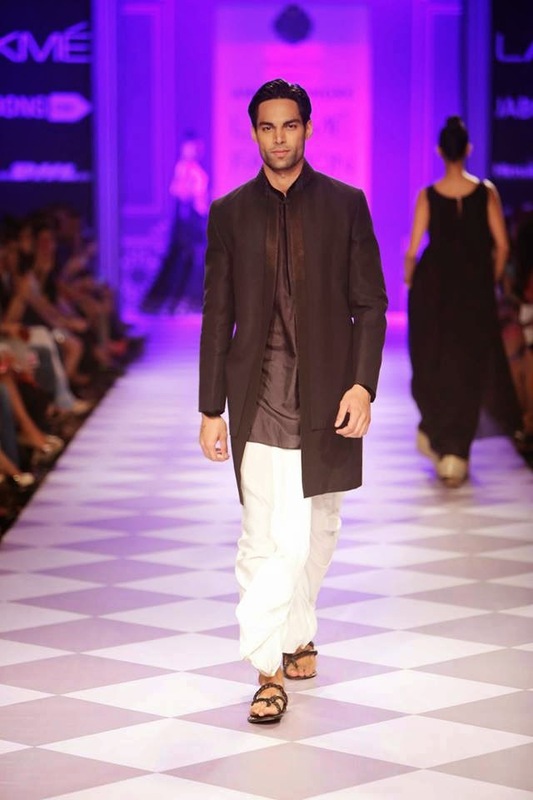 Are you into Indian designer wear as well? Maybe you could find what you need on Strand of Silk. Finding that perfect wedding dress can be very stressful, but that is why Strand of Silk is here to help you find the dress that will guarantee you have the best day of your life! Here are a collection of magnificent, stunning, original Indian bridal dresses. You will be spoilt for choice! For more indian bridal dresses go to Strand of Silk or see other colourful bridal ideas. Celebrities looking sensational in designer anarkali suits! 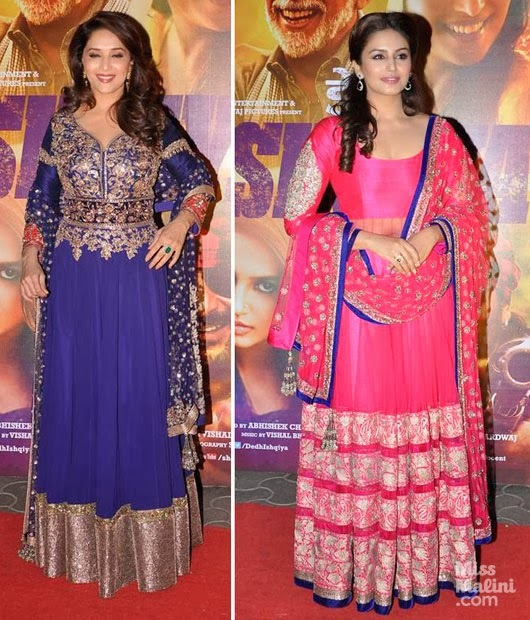 In Mumbai, the actresses Madhuri Dixit and Huma Qureshi were looking stunning in designer anarkali suits by Manish for the premiere of their latest film, Dedh Ishqiya. This shimmering look is perfect for high profile events and awards giving the wearers an air of sophistication as well as glamour! Look at this gorgeous cream and gold lengha. If you like this style and want to find wedding lenghas that suit you, you can visit Strand Of Silk's bridal page. Which are the trendiest Indian accessories of this year? 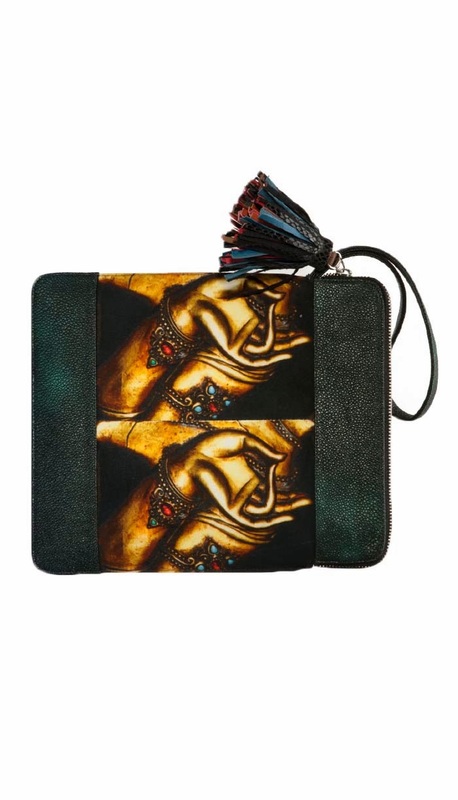 These IPad covers must be in the top ten for sure! 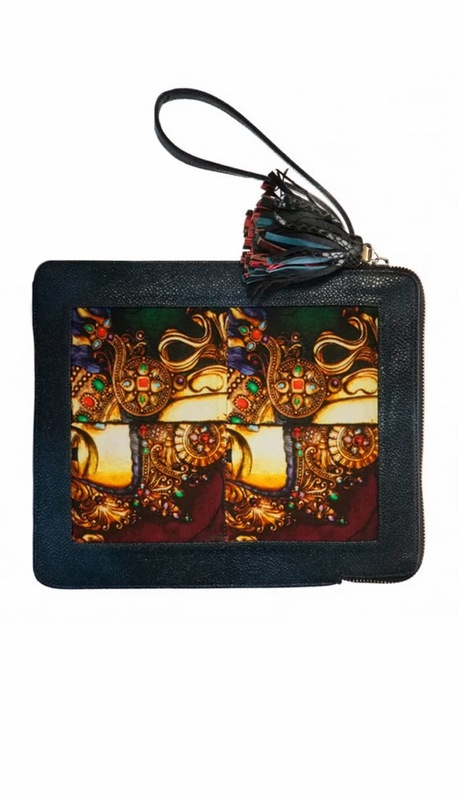 Want to see more Indian Accessories? Want to combine it with a Bridal Lehenga? How to be the best-dressed at a party with a beautiful designer Anarkali Suit! 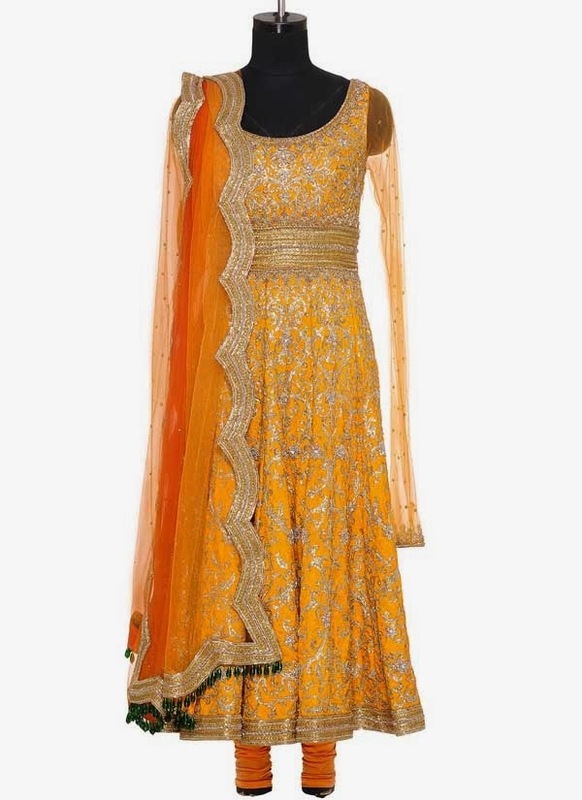 Anarkali Suits are very popular Indian womenswear. This is because they are beautiful and stylish as well as being extremely flattering on a slim figure! These spell-binding suits have featured in Bollywood adding brilliance and splendour to the movies. They make the perfect outfit for that grand entrance at a party! Beautiful Jalebi Jacket by designer Neeru Kumar. Want to discover more styles? The IFBW 2013 has left us with some new suggestions and trends regarding bridal lehengas' shapes and colours. 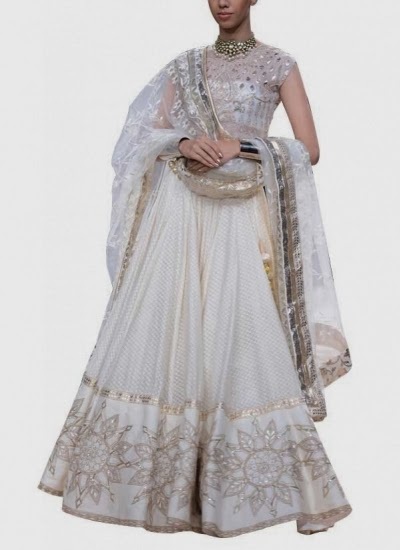 If we focus on bridal colours is interesting to notice how white and black ( the latter mostly combined with gold), before almost not considered or even banned, have now come to be quite popular among bridal Indian designers. So, if you feel like a modern bride, below you will find two beautiful bridal lehengas to take inspiration from. Which one do you prefer? The exquisite romantic brocade lehenga by Anita Dongre or the velvet and metallic applique lehenga by Siddartha Tytler? Probably, we are not the only ones who are wondering how to face the string of our friends’ weddings which come up during the WeddingSeason. When you work full time it is not easy to find out the perfect look to attend the ceremony in just few minutes. You could wear the same designer sarees for each wedding, but we suggest you to give always to them a quirky twist. 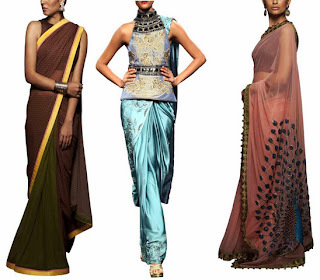 Perhaps, you could pair up your saree with a jacket, or a gown...click here to get more ideas!